Crafty Individuals have a new set of tree stamps out - CI-429 and called Trees Galore. These are much wider than others they have designed and give great scope for using them to create landscapes, much like I have done on my collage piece below. 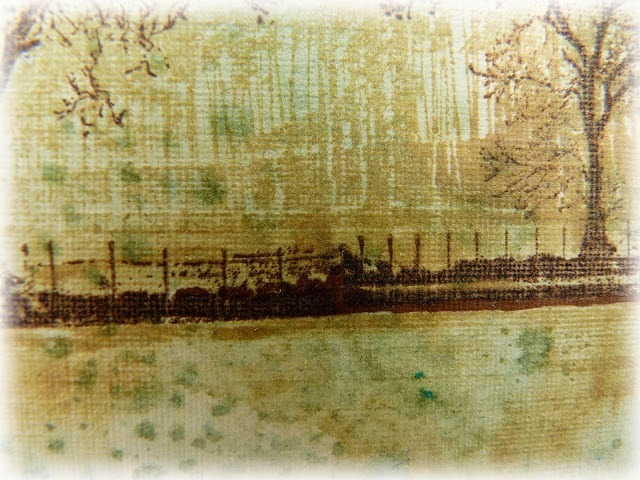 It left a tiny gap between the two stamped images so I used a brown drawing pen to join them up. 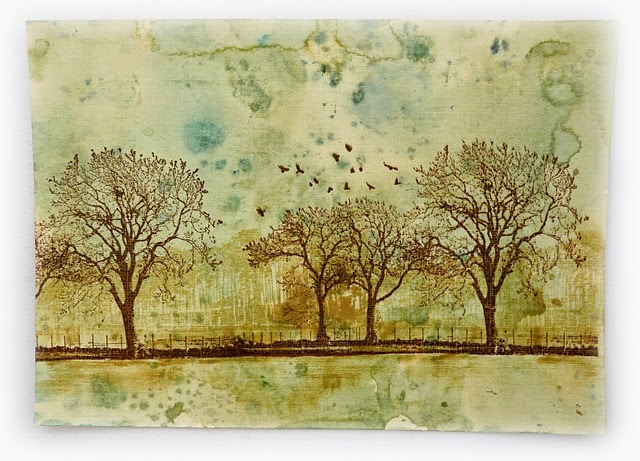 Using a second stamp from the set and Tree Branch archival ink I did a second generation stamp across the tree line to create an ethereal woodland background. 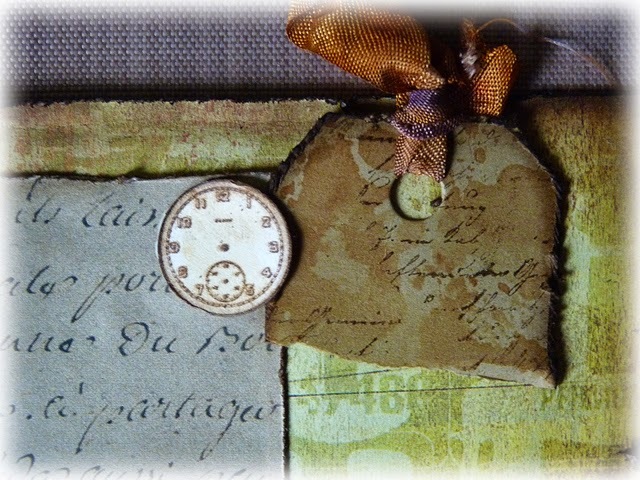 I gathered stamped ephemera (also CI stamps) and other elements to begin building a collage. Using papers and oddments the background started to come together. I knew this small portion of a tag would be ideal to use and just stamped lightly over it using a CI text stamp. 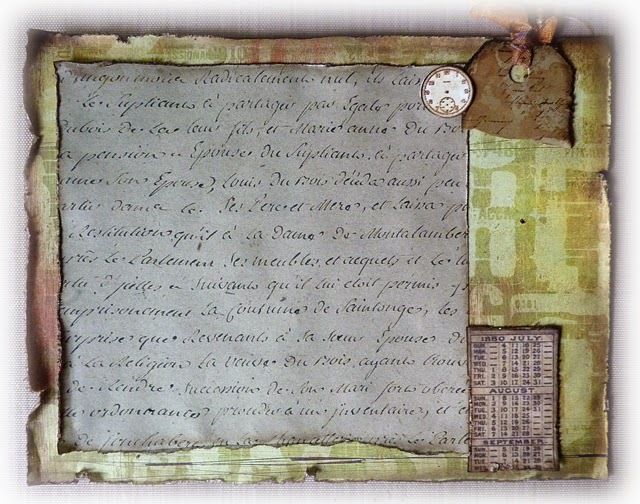 Some scraps of papers, borders and hessian and a portion of Tim's film strip die with the ephemera filling the spaces gave me some shape to the layout and provided additional dimension and texture. This is now in my large collage journal. 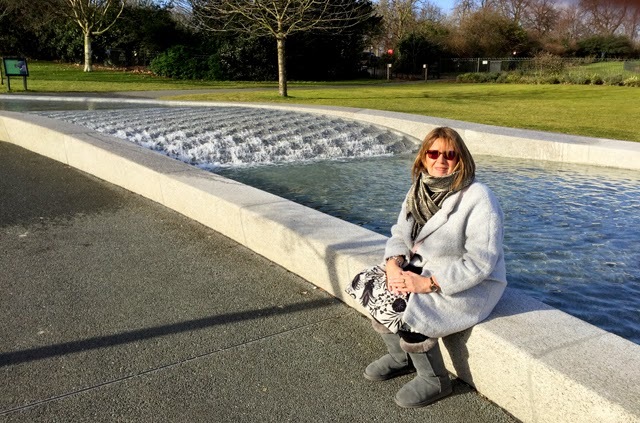 Before I go I thought I would share a few photos from our weekend trip to London. 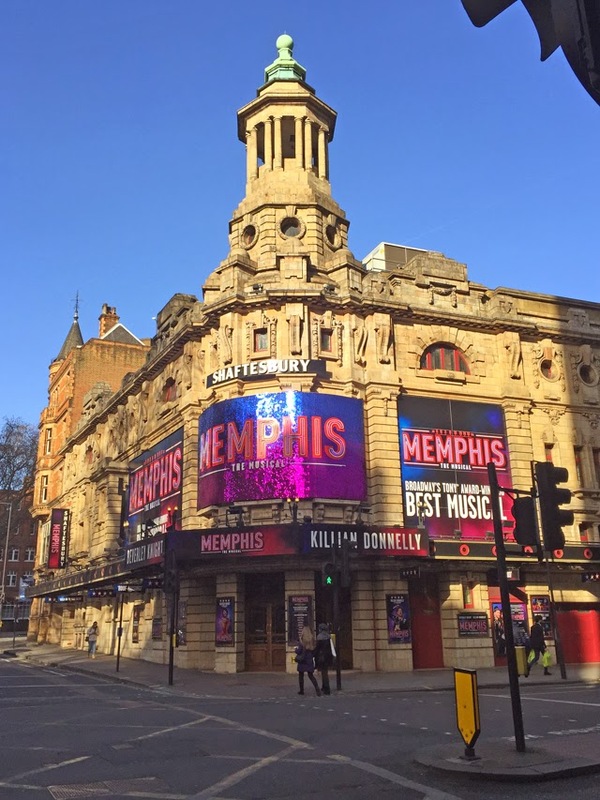 The children had given us tickets to see 'Memphis' for Christmas and we decided to stay overnight. 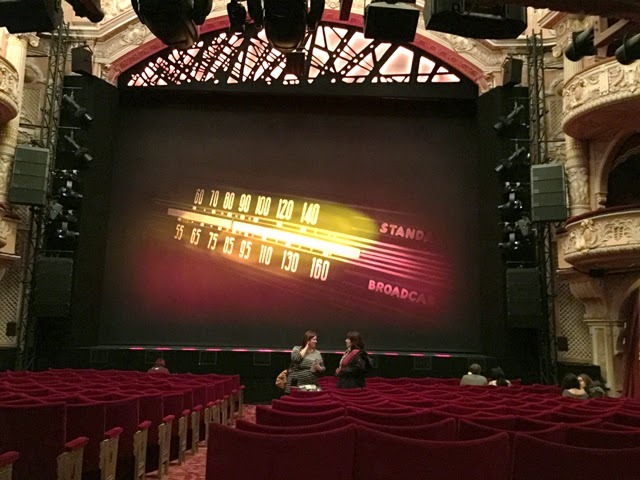 It is currently on at the Shaftesbury Theatre and starring Beverley Knight - she was amazing as were the whole cast. Their voices reverberated around the theatre and filled every corner. 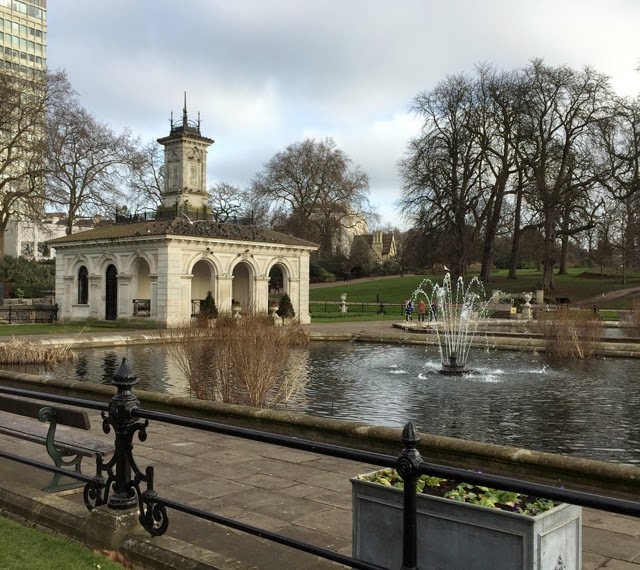 Our hotel overlooked Hyde park, so it was lovely to have a walk round on both days. 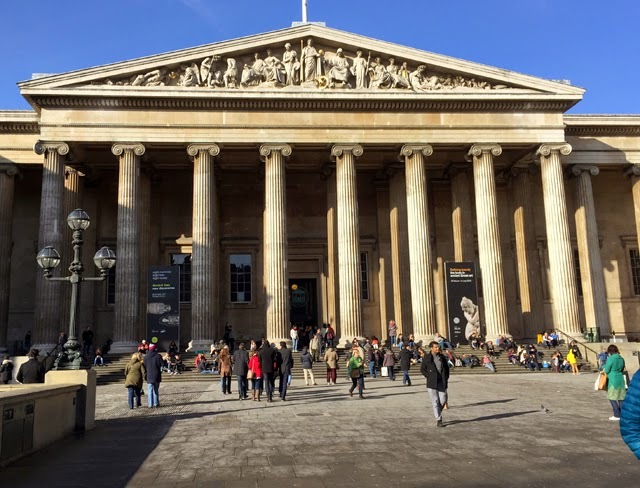 On Sunday we went to the Eight Lives, Eight Stories exhibition at The British Museum where new technology has uncovered some secrets of eight mummies from the Thebes area of Egypt. 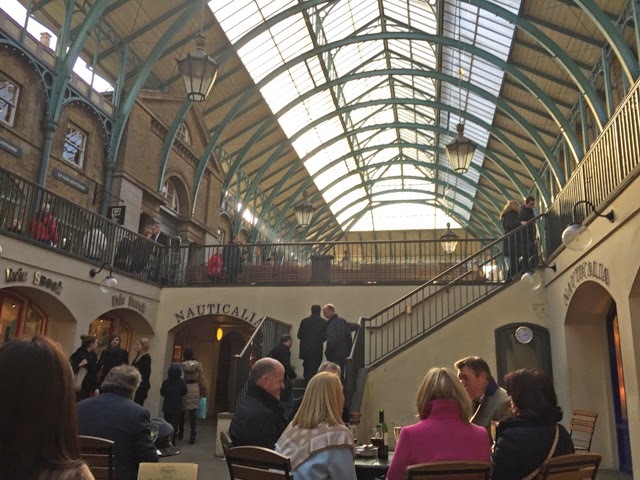 We finished off with a glass of wine at Covent Garden taking in the atmosphere and for a while listening to an operatic singer. PS I have just discovered this is my 1000th post, so come back again tomorrow as I will be offering a blog candy to celebrate. 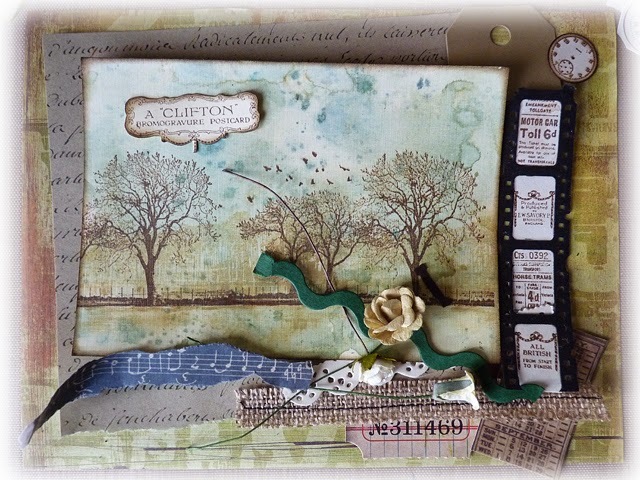 Your collage with the tree scene is great, I have always found creating a scene difficult, so I admire anyone who creates them....I know there is a Challenge coming up soon with this theme....Yes I am in panic mode. Glad you enjoyed your little break in London. I just love London...love your pics! I too, love these 3 treescape stamps...i want them! I need to see if I can get them here. Great card too with a wonderful scene! Brenda - I enjoy your blog so much.....especially your use of color. However, today, your project hit me right into my heart!! I LOVE trees and you did such an amazing job! Can you please give us a link so we can purchase these stamps?? 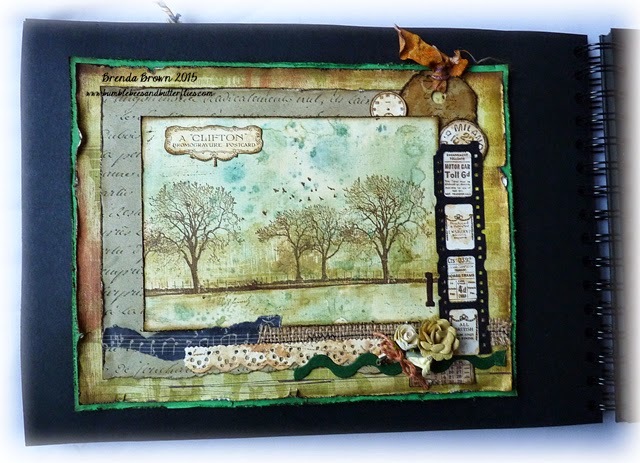 Hi Brenda: Beautiful scene you created with the tree stamps, and depth in the forest with 2nd gen stamping. I really like the tickets in the photo strip too. Hubby and I saw Memphis in New York City when it opened on Broadway in 2009. The music was incredible and the cast dance scenes in the "Club" had so much energy. I wanted to dance in the aisle! Glad you enjoyed it as well! Congrats on your 1000 post. PS Great Photos - I feel I've been on a mini-tour of London. A lovely collage scene Brenda. Looks like you had a great time in London. Thank you for sharing your outing with us, absolutely love all your photos! 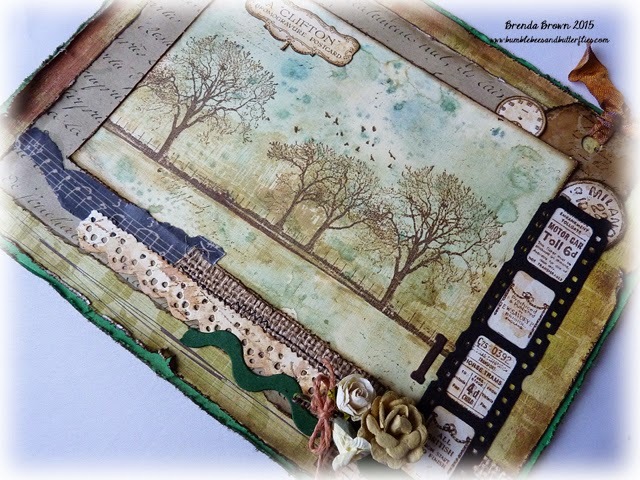 I've never stamped scenes before, but what you've done with those lovely trees is making me seriously consider it--beautiful, Brenda! 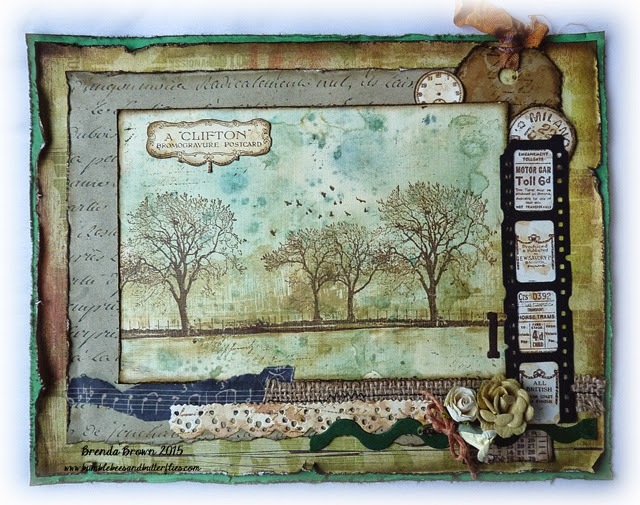 What a beautiful stamp set, love the trees and your collage is gorgeous! 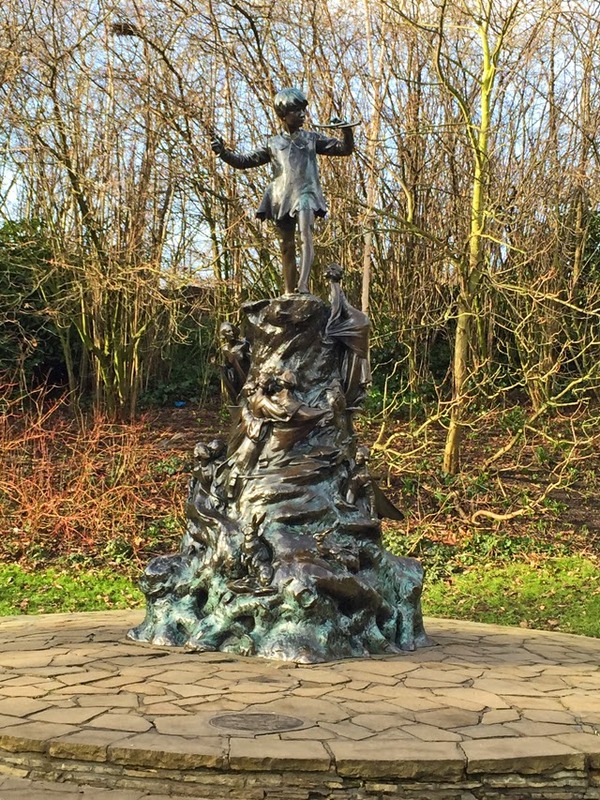 Looks like you had a wonderful time in London, I've not heard of the musical 'Memphis', will have to go look it up. Fabulous CI stamp set!! Your collage is gorgeous, Brenda!! Love it! 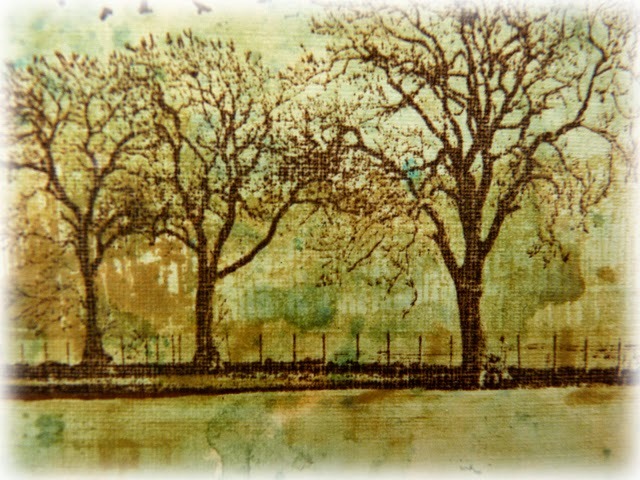 You created a gorgeous scene Brenda with the tree stamps!!!! !great pictures from London!!! An absolutely wonderful card - I love the soft colours and those fabulous tree silhouettes - a gentle favourite.